We all know public art effects culture in ways far greater than the purse, but suddenly Atlantic City’s community stakeholders, both public and private are sending a message. Art and culture can expose the elusive quality of place by positively influencing a neighborhood and a city. Earlier today I was at an exciting and inspiring event at Lance Fung’s SOHO loft. There I learned the Atlantic City Alliance (ACA) a newly formed non profit, has hired Lance and his group, Fung Collaboratives, to transform Atlantic City. They will collaborate to turn many entire vacant lots into commissioned works of art or as Lance describes them, magical green spaces. I find it amazing that in this economy the ACA holds, that for this country’s cities, right now art and culture are key. As daring a collaborationist as ever, Lance will triangulate Atla ntic City with an exquisite 5 year long public art exhibition that will complete this message. Predictably, Lance brings together international artists and architects to take on Atlantic City’s challenging sites. Yet, complimenting these large scale attractions, he’s planning programs to engage and benefit local community at even the smallest scale, encouraging local input and further energizing community and it’s artists. The project is designed to enrich the community through its own participation by engaging local residents, new visitors and art lovers alike to experience large scale contemporary art outside of the gallery, to come out and play together, to have a stake in the improving physical landscape and to enjoy new, free and interactive experiences catered to people rather than cars and trucks. What Lance described at his gathering sounded sweeping and visionary, yet community-driven and inclusive. The commissions have a sense of destination, but are culturally aware. He’s calling for works that become places which foster social interaction and balance physical, social and spiritual qualities. Yet, while he’s working through an overarching idea and commissioning large scale transformations, these are complimented by a community invested, bottom-up approach, which identifies community talents and assets that provide valuable insights as to what is meaningful to Atlantic City residents. 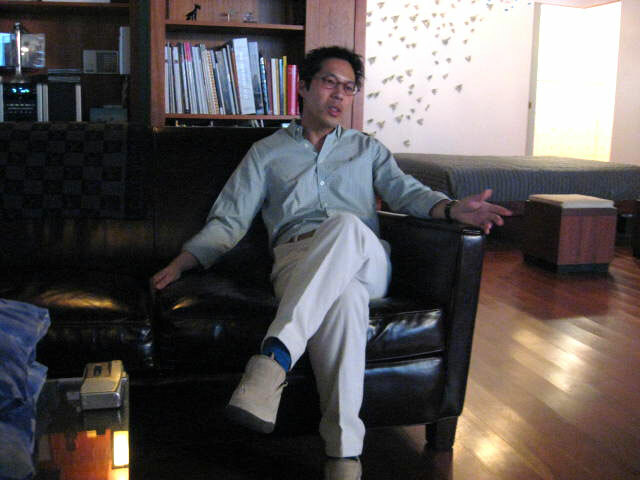 San Francisco and New York-based curator Lance Fung founded his company in 1999 as an arts organization without borders. His exhibitions have been featured at the Torino and Beijing Olympics, the city of San Francisco, and in Egypt. He was the curator of the 2008 Site Santa Fe Biennial, Lucky Number 7. Lance Fung is best known for the 2004 “The Snow Show” exhibition in Finland, having presented the collaborative works of thirty internationally recognized artists and architects, including Yoko Ono, Sir Norman Foster, Kiki Smith and Tadao Ando. “While the world’s great museums showcase art for appreciation as well as scholarship, moving art outside to the blank canvas of the sky, the ocean and the historic Boardwalk here in Atlantic City can be a catalyst to evolve how people think about our city,” – Liza Cartmell, president of the Atlantic City Alliance. “We know that the greater Atlantic City community will also benefit from these distinctly unique public art projects,” – CRDA Executive Director John Palmieri. Montreal-based new media and entertainment studio, Moment Factory has also teamed up with the ACA to develop a highly sophisticated, 3D projection show celebrating the façade of Boardwalk Hall. Set to open this summer, the permanent installation offers a free show every night, all year long. Moment Factory has created extraordinary multimedia environments and groundbreaking interactive experiences for live shows, public spaces, events, brands and cultural institutions since 2001, for clients like Cirque du Soleil, Jay-Z, Disney, Céline Dion, Microsoft and for Madonna’s new MDNA world tour. The ACA is a recently established New Jersey not-for-profit corporation whose primary mission is to develop and implement a full-scale, broad-based, multi-year marketing program for Atlantic City. The ACA works with the Casino Reinvestment Development Authority (CRDA) to market and promote the Tourism District via a public/private partnership. The ACA also works with local and state government, the private sector and other organizations to further enhance the marketing program.